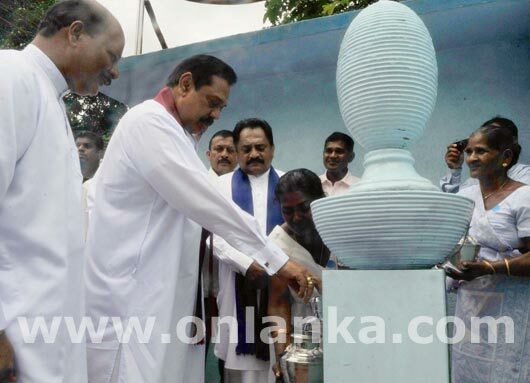 President Rajapaksa inaugurates the Harispattuwa Ruwanpura drinking water project. 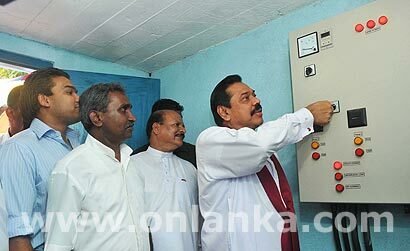 President Mahinda Rajapaksa has inaugurated the Ruwanpura Sevana Praja water supply and hygiene project at Werallegama, Harispattuwa on 25th August while he was in Kandy to attend the annual Esala Perahera of the Sri Dalada Maligawa. The World Bank contributed 70% of its assistance to the project which is beneficial for 438 families in the area and meet their drinking clean water requirements. Governor of Central Province, Tikiri Kobbekaduwa, Chief Minister Sarath Ekanayake and Namal Rajapaksa MP were among the participants at the occasion.